We provide pharmacy services to assisted living facilities, CBRFs, and adult family homes in southeastern Wisconsin. Part of Good Value’s service involves providing long-term care facilities with organized prescription management. Because administrators and nursing directors are responsible for overseeing medical needs of large groups, it is important that they maintain a detailed, easy-to-use system for administering prescriptions. At Good Value, our Long-Term Care division provides a unique service that enables facilities to receive all the necessary prescriptions in a single delivery from our own drivers. Each delivery includes all the required medications packaged according to resident, dosage, date and time. 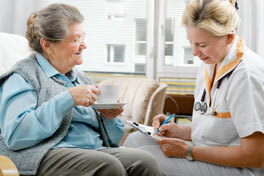 Call us today at (262) 925-0201 to find out how your long-term care facility can benefit from our prescription service.